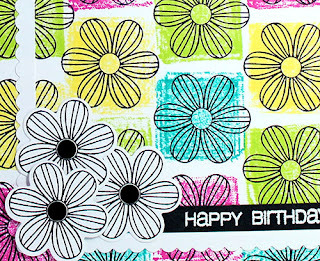 I am so excited to be a guest designer over on Catherine's blog sharing a couple cards using the direct-to-paper technique and goodies from the Stamp of Approval collections. Click HERE to view both of my cards. Like you home made DP! A happy card!